When it comes to the best pillows out there, we can’t get enough of the Coop Home Goods Original Pillow. No matter your size, shape, or sleeping style, the shredded memory foam in this pillow adjusts to your needs — whatever they may be. Goodbye counting sheep, hello beauty sleep! Many of us take the time to pick out the perfect mattress (can you say pillow top? ), but we often fail to spend an equal amount of time searching for the perfect pillow. 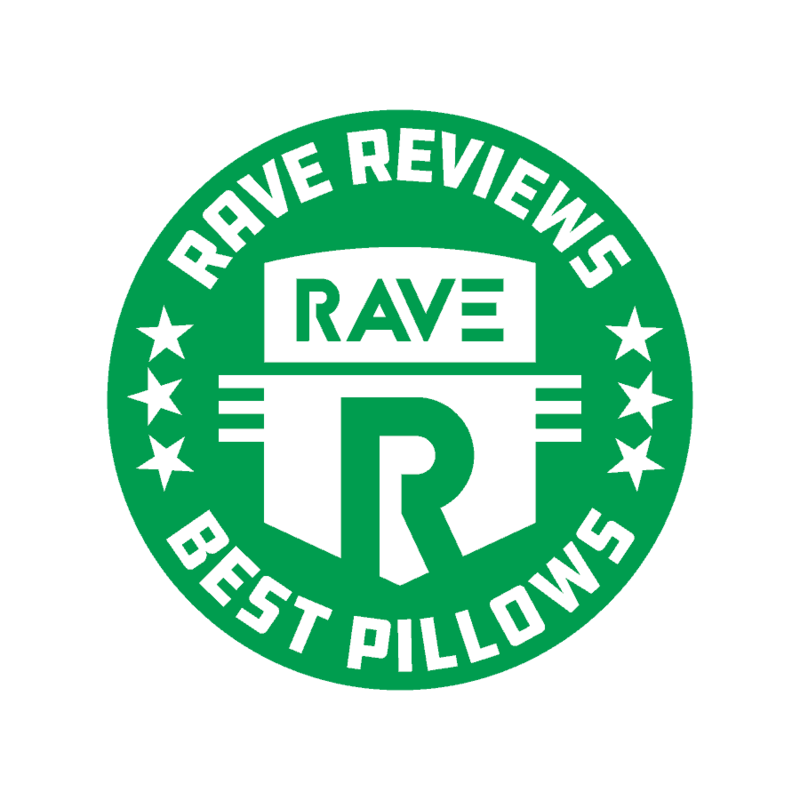 Here at RAVE, we know that navigating the vast world of pillow options out there can be a daunting task. But finding the right pillow can make all the difference in your quality of sleep, and that’s why we created this list. We broke down our pillow search into 8 separate categories and searched far and wide for the top-ranking pillows in each one. Taking into consideration customer reviews, expert feedback, and manufacturer information, we hand-selected the best of the best. Be careful, though — once you find your dream pillow, it’ll be tough to say goodbye when you have to get out of bed in the morning. The power of a good night’s sleep should never be overlooked. When it comes to getting the rest that we deserve, we often fail to recognize that our pillow can be the number one factor in ensuring we get the rest we need! Think about it — when’s the last time you bought new pillows? Yeah, that’s what we thought. What pillow should you choose? We don’t play around when it comes to your beauty sleep. Our thorough meta-data analysis and our own expertise has led us to these winners, and we’re sure that you’ll love them as much as we do. Allow us to introduce you to the very best pillows you can buy right now. Side sleeping is the most common sleeping position, and the folks at Coop Home Goods understand that this position poses both advantages and disadvantages. While sleeping on your side supports neutral spinal alignment and decreases snoring, side sleepers can also experience pressure on the hips, neck, and shoulders. 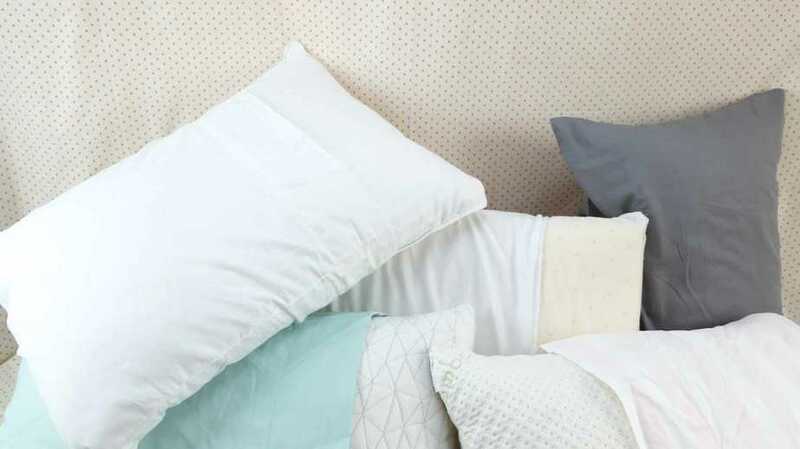 To help account for these possible issues, the Coop Home Goods Original Pillow is fully adjustable with a proprietary mix of shredded visco-elastic memory foam that you can add or remove based on your own comfort preferences. This type of material also allows for greater ventilation, which promotes temperature regulation and better cooling. This pillow is also hypoallergenic and dust mite resistant, which ensures that allergy sufferers no longer need to worry that they’ll wake up in a fog. A removable, machine-washable cover also helps to keep this pillow clean and allergy-free. The company is so sure that you’ll love this pillow that on the slim chance that you’re not happy with it, you have 100 days to receive a full refund, no questions asked. This pillow is free from harmful chemicals which makes it not only safe and healthy for you, but safe for the environment too. It meets CertiPUR-US standards, meaning that it’s the perfect choice when it comes to finding a pillow that’s not only comfortable, but super safe too. The Snuggle-Pedic Ultra-Luxury Bamboo Pillow Queen gives you all the comfort of a down pillow without actually being a down pillow! This means no more constant fluffing and reshaping your pillow throughout the night, and no more allergies for those who are sensitive to feathers. Filled with a combination of hypoallergenic memory foam and CertiPUR-US memory foam, the small pieces of this mixture are extremely soft and fluffy, making the pillow lighter and more resilient over time than most other shredded memory foam pillows on the market. The Sleep Better Iso-Cool Memory Foam Pillow has tons to offer: It’s temperature-regulating, machine-washable, and offers the support that side sleepers need. At just $37, it’s also one of the best values that you can find. If you’re a side sleeper who lives in a hot climate, or who experiences hot flashes, or who just plain tends to sleep hot, you’ll love the cooling technology in this pillow. We’ll be honest — it doesn’t offer as much in the way of hypoallergenic properties and environmental friendliness as our other contenders. But for its price point, there’s nothing like it. You’ve heard of a waterbed, but have you ever heard of a water pillow? Well, now you have! This pillow is completely adjustable — you can change the firmness of it by adding or removing water. This allows you to find the perfect loft for any sleeping position. And you never have to worry about it going flat: Just add a bit more water and it’s as good as new. This pillow offers excellent support for your head and neck no matter how many times you adjust and reposition it. Say goodbye to going through your entire day with a crick in your neck. The manufacturers of this Shredded Memory Foam Pillow realized how many issues we may run into when sleeping, such as having a pillow that flattens out, retains your heat, doesn’t offer the right amount of support, and generally causes you to wake up feeling like the actual walking dead. They decided to put an end to this. The Shredded Memory Foam Pillow comfortably shapes to your head and neck in any position you may find yourself in. It offers the proper support to help you wake up feeling refreshed, energized, and ready to take on your day no matter how busy it is. An inner zipper allows you to adjust the pillow thickness according to your needs and preferences. Because this pillow keeps your spine properly aligned, you’ll experience more REM sleep throughout the night. Though this pillow is targeted toward back sleepers, it’s perfect for most any sleeper out there. Your stubborn neck pain, pillow allergies, migraines, and tingling fingers are as good as gone with the help of this pillow. The Snuggle-Pedic Bamboo Combination Memory Foam Pillow offers all the comfort of a down pillow without any of the drawbacks. Unlike a down pillow, this guy basically never goes flat. It features a micro-vented cover with Kool-Flow technology, which makes it extra breathable and cool. It’s machine washable, too! An easily accessible zipper allows you to adjust the thickness of this pillow, ensuring that the loft is where you need it to be for a comfortable and restful sleep. This is one of the most popular pillows among stomach sleepers — try it out and you’ll likely find yourself among its legions of fans. The Sleep Better Memory Foam Pillow is one of the most unique pillows on our list. Unlike basic memory foam, the beads in this pillow’s fill absorb heat to feel cool or release heat to feel warm. This provides best-in-class temperature regulation for stomach sleepers. Not only will this pillow help regulate your temperature, but it also features plush visco-elastic memory foam filling for much-needed support. This pillow is also included in our Best for Side Sleepers category — it’s just that versatile. The Mediflow Waterbase is clinically shown to improve sleep four ways as well as reduce neck pain as it’s adjustable to any user or firmness desired no matter what your sleeping preferences are. This pillow also automatically responds to movement to help maintain support as you sleep. This pillow offers you the soft comfort needed to achieve sleep quickly as well as the customizable support from the waterbase to maintain support to reduce sleep interruptions as you switch positions during the night. No more lumpy pillows causing discomfort and giving you neck pain! Described as a pillow that is “awesome and a must-have for those with neck issues” by a verified Amazon customer, this pillow is made from material that will perfectly conform to your head and neck. It’s supportive enough to keep even stubborn neck pain at bay. This pillow offers more than just unusually good support, though. It’s also made from shredded, certified eco-friendly memory foam to ensure this pillow will maintain its shape throughout the night and over the course of months of use. The shredded memory foam also offers the perfect amount of breathability, allowing air to circulate through the pillow to keep you cooler. A pillow that won’t lose its shape and doesn’t require you to flip to the cool side? Sounds good to us! The Ultra-Luxury Bamboo Pillow by Snuggle-Pedic is rolled and vacuum-sealed to maximize eco-friendly shipping. It’s also hypoallergenic and dust mite resistant, making it good for the environment and good for your health! And, because this pillow is so adjustable and conforms to various needs, it’s perfect for all types of sleepers. It even comes with a 20-year limited warranty that covers damage such as the flattening of your pillow or loss of support. Yup, this guy again. Made from a proprietary mix of shredded visco-elastic memory foam, this pillow’s adjustable fill offers a perfect customized fit for every sleeper. It’s ideal for all sleeping positions and all sleeping preferences, and it promotes the proper alignment that’s necessary for deep, restful sleep. Want to try it out yourself? 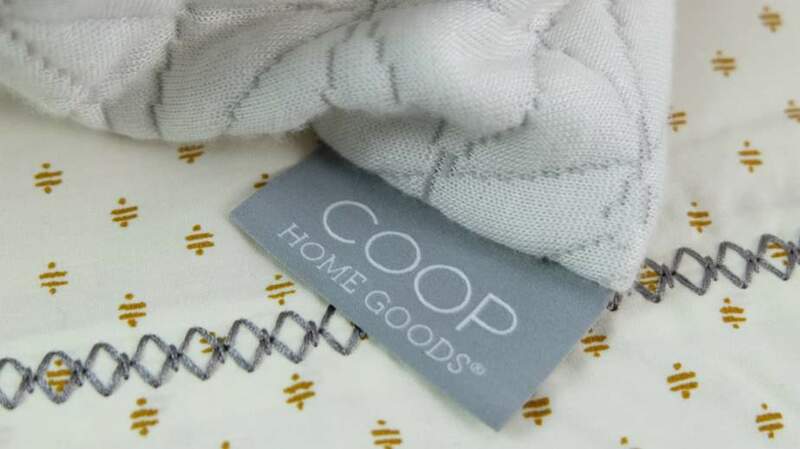 There’s no pressure: Coop Home Goods offers a 100-day warranty. If you find something not to like about this pillow, just return it within that window for a full refund, no questions asked. For many, the Sleep Innovations Contour Memory Foam Pillow is the pillow of their dreams. It provides structured neck support consistently throughout the night, even for those who tend to toss and turn. 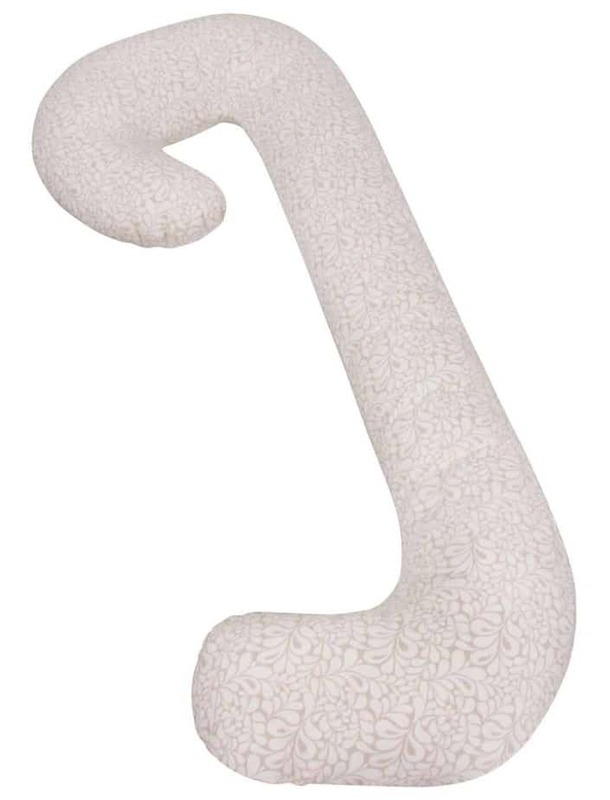 The unique contoured design is ideal for those who need firm support from their pillow. Not sure which contour will work best for you? No sweat! This pillow allows you to choose between the higher and lower contours so you can figure out which one is better suited to your needs. Just turn the pillow around to switch between the higher and lower contours. The Mediflow Waterbase pillow offers comfortable, customizable support. This unique pillow will adjust automatically as you move during sleep, giving you the best chance at an uninterrupted night’s rest. This pillow has serious credentials: It’s been clinically shown to improve sleep and reduce neck pain. It’s also easily adjustable, as you can increase or decrease the amount of water in the pillow until you reach the desired level of support. If you’ve ever tried out a waterbed and enjoyed it, this pillow will change your world! The Beckham Hotel Collection Gel Pillow is crafted with super plush gel fiber, expertly tailored to ensure maximum comfort no matter your sleeping position and preferences. In a world full of trade-offs — cost and quality, comfort and much-needed support — the Beckham Gel Pillow does it all. The pillows will arrive vacuum-sealed, and will fluff up within a day or so of opening them. 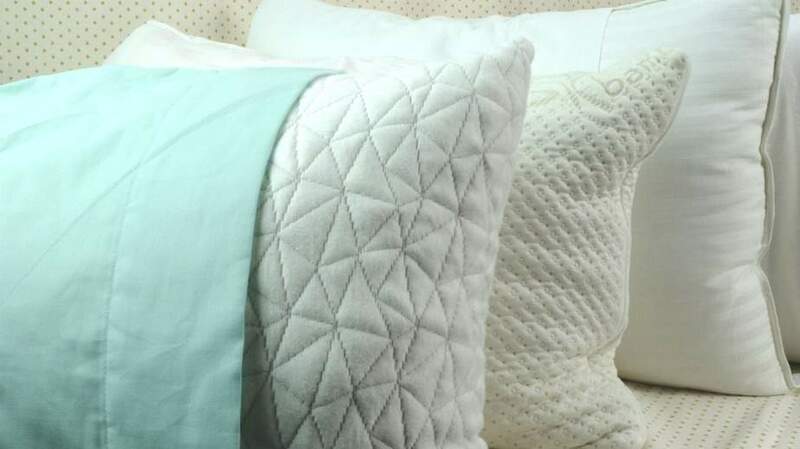 They’re known for being fade- and stain-resistant, so you’ll never have to worry about your pillow starting to look old, dirty, or run-down. The casing is also resistant to mold and mildew. This pillow is machine washable and will always look and feel brand new. And thanks to the top-quality gel fiber, these pillows can hold their own with the best of them when it comes to cooling technology. You can pick up a 2-pack of Beckham Hotel Collection Gel Pillows for just $40 (which will buy you approximately one half of a “premium” pillow). And if you want to try it out before you commit, go for it — there’s a 30-day warranty, so you can make sure that these pillows aren’t too good to be true. With breathable microfiber memory foam that is adjustable to your needs, the Coop Home Goods Original is a solid choice for a whole range of sleepers and sleeping preferences. If you’re someone who tends to sleep hot, you can benefit from the Coop Original. No matter your size, shape, or sleeping style, the Coop Home Goods Original Pillow is versatile enough to meet your needs. Adjust the loft by adding or removing the shredded memory foam fill. And in the unlikely event that you run into any issues, take advantage of the generous 100-day warranty. Iso-Cool Collection products all feature Outlast Adaptive Comfort material to help regulate your body temperature, which in turn will reduce tossing and turning for a more comfortable, restful, and peaceful sleep. And the cherry on top? It comes with a super soft, 300-thread-count cover that is 100% cotton. This pillow is available in several different designs. The traditional shape is perfect for all sleepers, particularly those who sleep on their back or stomach. The Side Sleeper shape features a 2-inch gusset, which provides additional loft for side sleepers. Much of memory foam’s popularity is due to its firm, dense support. Unfortunately, in a lot of memory foam products, that density also means that the pillow retains heat like nobody’s business. The Cool Contour Pillow from Sleep Innovations tackles this problem with a uniquely breathable memory foam that’s much better ventilated than many of its counterparts. The contoured design of this pillow is especially well-suited to side sleepers — although back sleepers and stomach sleepers may find that it’s perfect for them as well. Did we mention the 5-year warranty? The Conforma is specially designed to reduce pressure points between your shoulders, neck, and back. Sound good? It gets better: This pillow also promotes airflow to keep your head and neck cool and comfortable during sleep. Seriously, you’re going to want to take this pillow everywhere you go. It contains a premium memory foam that cradles your head and neck in the proper position, which is fundamentally important for back sleepers. It offers enough support to keep your spine aligned and still has enough give to feel cozy and comfortable. It’s naturally antimicrobial and is resistant to allergens, mold, bacteria, and dust mites. It also includes a removable, machine-washable cover. Throw in a 3-year warranty, and we’re sold: This is the best pillow for back sleepers. The Coop Home Goods Original Pillow is designed for those who want the support of memory foam and the comfort of down all wrapped up in one. Filled with a lush blend of gel-infused memory foam and microfiber, this pillow offers breathable comfort while helping your spine stay aligned. A common problem for back sleepers is having a pillow with too much height. When the loft is too high or the fill is too dense, back sleepers will find that their neck gets stuck in an unpleasant flexed position that can ultimately lead to serious neck pain. That’s what’s great about the Coop Original: Its fill is adjustable, so you can take out (or add in) as much fluff as you need to get the perfect loft. If you’re someone who suffers from neck issues, this memory foam pillow is the one for you. 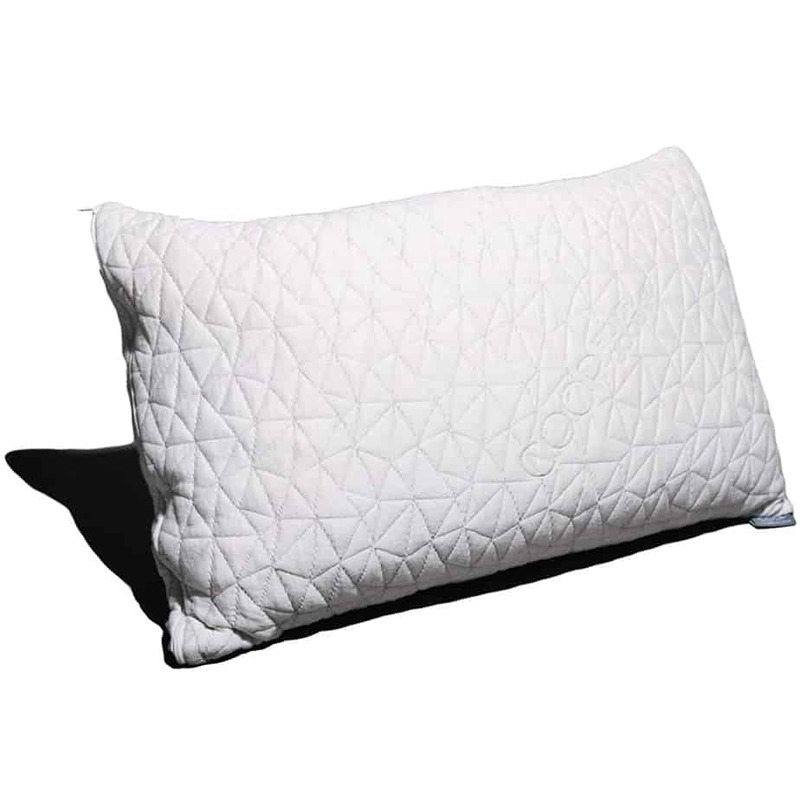 Perfect for back sleepers, this pillow offers the ideal balance of orthopedic support and fluffy comfort to help give you a restful night of sleep with no pain the next morning. It’s eco-friendly (CertiPUR-US certified and approved by GreenGuard), it’s durable (made from the same foam as the high-end Air-Pedic mattresses), and it comes with an excellent warranty (20 years). What’s not to love? Uniquely designed by a mother and a Registered Nurse, this pillow was designed to follow the natural contour and shape of your body. Although it’s marketed toward pregnant women, the Snoogle Total Body Pillow is ideal for anyone seeking maximum comfort, support, and stability in their pillow. Concerned about your environmental impact? Choose the OrganicSmart option. Your pillow will come in a 100% organic cotton fabric cover. Although this isn’t ideal as a traditional headrest, it can be a total game-changer if you’re a back sleeper that’s ready to try something different. This category is another big win for the Coop Home Goods Original Pillow. In terms of memory foam, this one is the best of the best — premium-quality foam that’s been shredded for maximum versatility and individualized comfort. The microfiber memory foam is as comfortable as anything you’ve ever slept on, and it’s earned praise for remaining fluffy month after month, and maybe even year after year. That’s way more durability than you can expect in most other pillows. 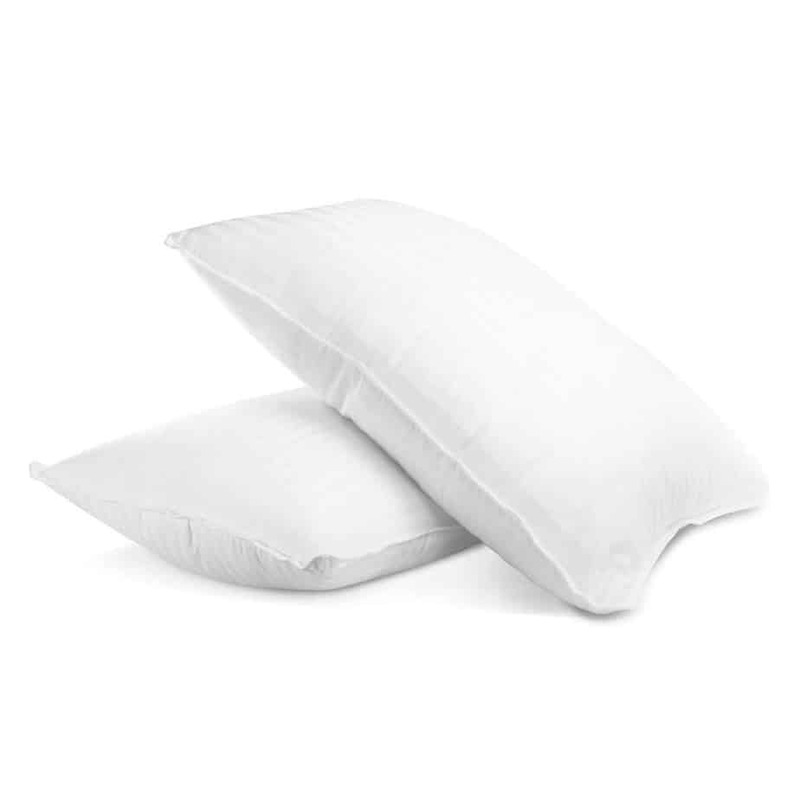 This pillow uses safe CertiPUR-US certified materials, and it features a machine washable cover. And if you find that the pillow is too high or too dense, simply remove some of the fill for a customized fit. And, if anything were to happen to this pillow, its 5-year warranty has got it covered. 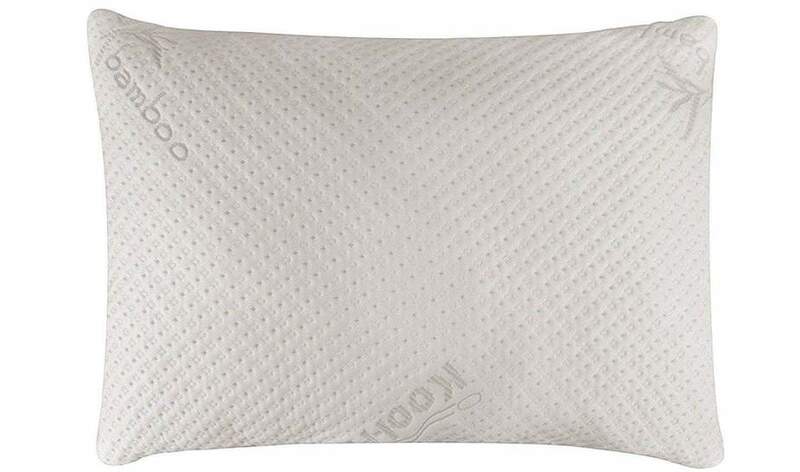 There are a ton of amazing memory foam pillows out there, but nothing beats the Coop Home Goods Original Pillow. 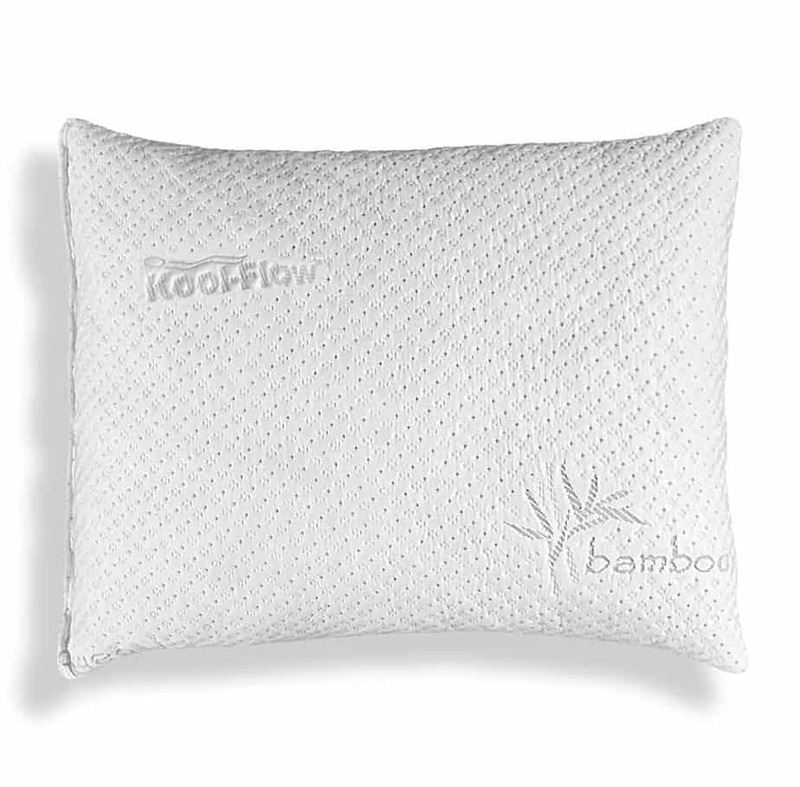 The Ultra-Luxury Bamboo Pillow by Snuggle-Pedic creates a unique balance of orthopedic support and fluffy comfort. 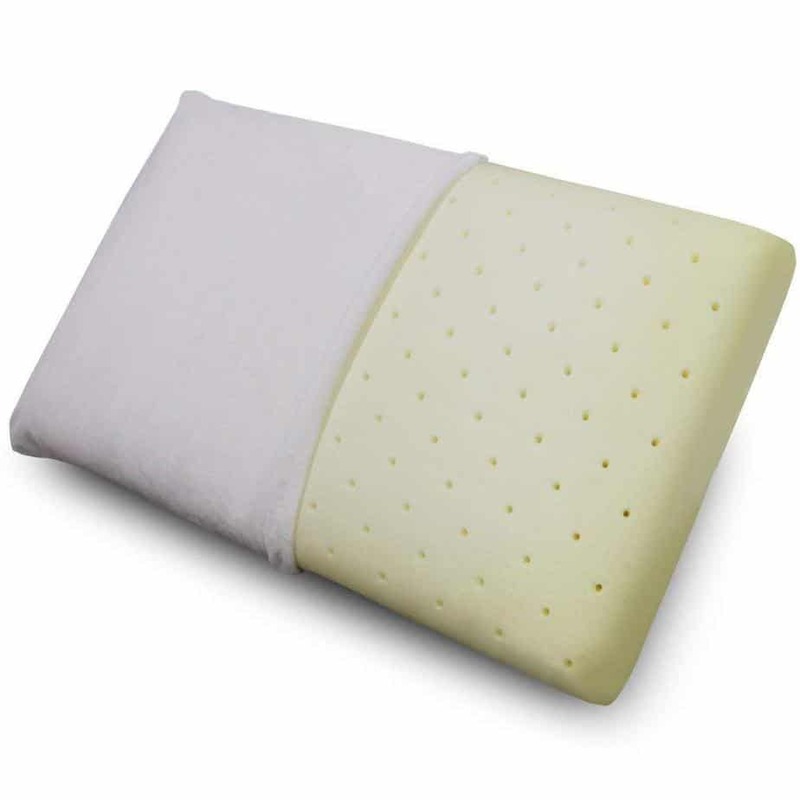 Featuring a fill of hypoallergenic, eco-friendly Biogreen memory foam and CertiPUR-US certified foam, this pillow will hold its shape better than just about anything else on the market. At $60, this pillow is mid-range in terms of budget. Considering how much use you’ll likely get out of it, this is a great value. Its warranty is impressive, too: 20 years. The Sleep Innovations Memory Foam Contour Pillow features a contour shape that adapts to your head, neck, and shoulders for enhanced support. This design is intended to relieve pressure and ensure proper spinal alignment for a night of rejuvenating sleep. This pillow features both a higher and a lower contour, allowing you to choose which works best for you. Although this obviously isn’t as customizable as a pillow with adjustable fill, it’s still a nice feature, especially if you’re on the taller or shorter side. Sleep Innovations offers a 5-year warranty on the product in case you decide to go in a different direction. This is the only wedge-shaped memory foam pillow on our list. The design might be off-putting for some, but it’s actually great for anyone who suffers from acid reflux, snoring, allergies, sleep apnea, or any other condition in which breathing may be impaired in supine position. This particular pillow features built-in channels between the top memory foam layer and the base foam to enhance air circulation. This pillow is multifunctional and can be used to elevate the legs, or to elevate your upper body. That said, its design makes it better-suited to back sleepers than stomach sleepers or side sleepers, so keep that in mind. What makes the Leachco Back ‘n Belly Contoured Pregnancy Pillow so great is that not only is it focused on belly support, but it also features inner contours for outstanding back support. For pregnant women, and even for others who have had a back or spine injury, this level of whole-body support is unmatched. This uniquely shaped pillow also comes with a zippered, removable cover, making it easy to keep clean. It’s a bit pricey, but it’s totally worth it! Designed around the natural curves of the body, the Queen Rose Full Pregnancy Body Pillow keeps your back and belly supported. Not only is this pillow comforting during pregnancy, though. It’s also perfect post-pregnancy while nursing, keeping your baby supported so it’s less strain and stress on you. The cover is machine washable and the pillow itself features a 100% polyester fiberfill for a high level of comfort. Unfortunately, there’s no warranty — but it’s a great value compared to many similar pregnancy pillows, so it’s still worth a shot. Versatile, compact, and easy to travel with, the Hiccapop Pregnancy Pillow has a unique wedge-shaped design. Included with the pillow is a helpful travel bag to ensure that it will stay clean wherever you take it. It offers a soft memory foam layer on one side and a firm layer on the other. Simply flip the pillow over to whichever side you prefer. Plus, tiny holes in the material encourage airflow to help control and regulate temperature (because we know how much your hormones can mess with your body temperature!). Founded on the ideology “you can’t create time, but you can use the time you have brilliantly,” the Trtl pillow is the perfect solution to getting some much-needed shut-eye no matter where you are. It’s lightweight, comfortable, and built for convenient travel. This pillow manufacturer believes you should sleep when you travel so that you can be awake when it counts — and they weren’t joking around! They created the most comfortable neck rest out there, and we’re pretty confident you’ll agree. The Trtl is scientifically proven to keep your head in a better position when sleeping upright by holding your head in an ergonomic position while you doze. It’s made from super soft fleece plus extra cozy cushioning to create a comfortable resting place for your head and neck. This pillow is easy to attach to the handle of your luggage and only weighs half a pound, so no worries when it comes to traveling light! And, after all your amazing travel, simply toss it in your washing machine as it’s completely machine washable. From planes to trains to buses and long car rides, this travel pillow is the perfect companion. 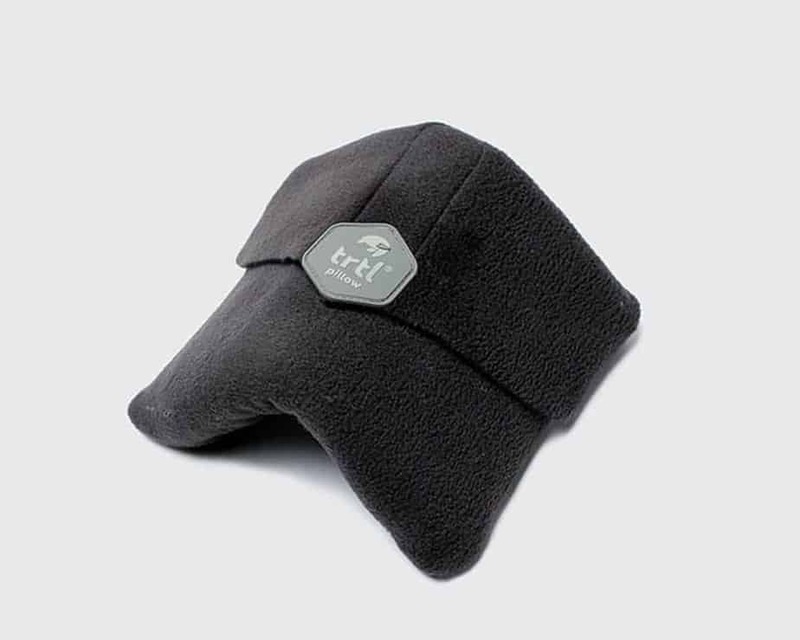 Keeping your head and neck comfortable in simply any sitting position, the BCOZZY Chin Supporting Travel Pillow allows you to easily fall asleep anywhere you can sit and ensures you’ll wake up without a sore neck. It’s lightweight and easily attaches to your handbag or suitcase, making it super easy to travel with. It’s machine washable, too, which we appreciate in a travel pillow. The BCOZZY improves on the traditional U-shaped travel pillow design by offering adjustable tightness for customized fit. With its patented ergonomic shape, the inflatable travel pillow from Travelrest can attach to your airline seat or the headrest of a car for security. It can also be worn messenger bag style, giving you somewhere to nestle your head during those long-haul journeys. Thanks to its inflatable design, this pillow is super compact and lightweight when deflated, which makes it ideal for when luggage space is a priority. When you’re ready to use it, it inflates quickly and easily. Take your pick of 4 available colors. The Travelmate Memory Foam Neck Pillow has a removable insert so that you can adjust the thickness of the pillow based on your personal preference. If you’ve ever had a travel pillow do more harm than good because it was too bulky or not supportive enough, you’ll appreciate this feature. The high-quality memory foam in this pillow is covered by a plush velour cover, which zips off and can be machine washed. Use the built-in strap to secure this pillow over the handle of your luggage, and you’ll be on your way. What can the right pillow do for me? When one third of your life is spent sleeping, don’t you want to make sure that sleep is restful, comfortable, and leaves you waking up feeling refreshed? Assuming your answer is yes, this is why it’s so important to find the perfect pillow. Finding the perfect pillow can seriously change your sleeping habits and ultimately change your life. The pillow that’s right for you will support the type of sleeper you are, whether that’s a back, stomach, or side sleeper. And it will support other things too, like your head and neck, aligning your spine so you wake up with no neck pain. The right pillow will also adjust and conform to your needs and won’t require any midnight fluffing and flipping to the cooler side. How annoying is it to be woken up in the middle of the night because your pillow has gone completely flat and is offering you absolutely zero support? It’s the worst, we know. How do I know what kind of sleeper I am? When it comes to what kind of sleeper you are, the 3 most popular types include stomach, side, or back sleepers. It’s normally easy to tell which one of these types you are by noticing in what position you have to be in to most comfortably fall asleep each night, and which position helps you to fall asleep the fastest. Also pay attention to what position you’re waking up in each morning, and whether your sleep was peaceful and undisturbed. Note whether you’re waking up sore, uncomfortable, and feeling like you need more sleep. Want to get a bit more technical? There are tons of apps for your smart phone that track your sleeping habits and can tell you at exactly what time you’re entering the different stages of sleep. Some of these apps can also track how long you’re sleeping and can even tell if you were tossing and turning a lot during the night. When it comes to the best pillows out there, we broke it up into 8 different categories. The categories we focus on are the best pillows for stomach sleepers, side sleepers, and back sleepers; the best memory foam and cooling pillows; and the best pillows for neck pain, pregnancy, and travel. If we did have to pick an overall winner, we’d go with the Coop Home Goods Original Pillow. This is our top pick mainly because of how versatile it is. It’s perfect for so many different types of sleepers and can be adjusted to fit your specific needs, whatever they may be. Look over our full list of the best pillows and take some time to think about what you need from your pillow. You’ll be getting the sleep you deserve in no time. Before we say “sweet dreams,” let us point you toward a few more of our favorite products. Melatonin Supplement: Designed for healthy adults with occasional sleeplessness, this melatonin supplement makes it easier to fall asleep naturally using ingredients that work with your body. Sleep Mask: Enjoy 100% darkness with this adjustable sleep mask that features a customizable fit and no pressure on the eyes. Ear Plugs: We don’t always get to choose what kind of conditions we’ll be sleeping in. No matter how loud it gets around you, these ear plugs have got you covered.